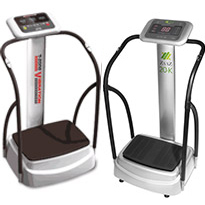 The Tzone VT15 or VT20 and Zaaz 15K or 20K are exactly the same machines manufactured by the same company. 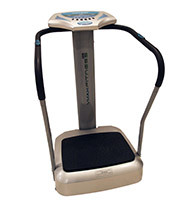 These vibration machines are simple oscillation (side-to-side) movement machines with a built-in 400W motor and 70 or 99 speed settings, depending on the model. Oscillation vibration is typically very good for improving blood circulation, losing weight, lymphatic stimulation, pain relief, and muscle relaxation. 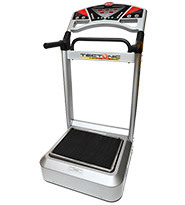 Both the Tzone VT15 and VT20 and the Zaaz 15K and 20K has been around for a long time and the technology used is older compared to the newer two vibration and premium oscillation machines. 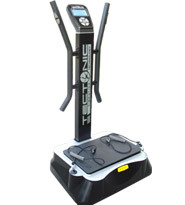 The Tzone and Zaaz machines are generally a lot more expensive than other competing vibration machines and does not come with as good of a warranty. (W x D x H) 28.3" x 24.4" x 53.9"
29" x 27.4" x 48" 28" x 25" x 58" 30" x 26" x 55"
(W x D) 20.8" x 14.5" 20.87" x 14.5" 20" x 16" 22" x 14"
We carry a lot more different vibration machines. Click the button to view other vibration machines.